North Toronto Veterinary Behaviour Specialty Clinic welcomes you! 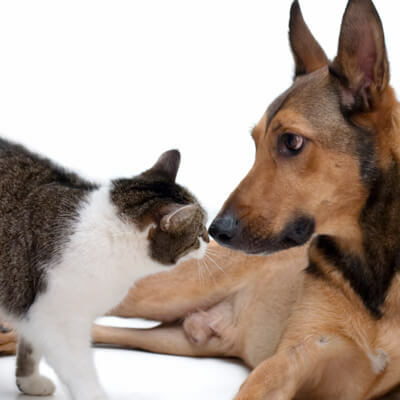 North Toronto Veterinary Behaviour Specialty Clinic offers behaviour consultations on a referral basis. Drs. Denenberg and Landsberg are board-certified veterinary behaviourists with specialist credentialing from the American College of Veterinary Behaviorists and the European College of Animal Welfare and Behavioural Medicine. Please note that Dr. Landsberg is not currently available for new cases. Dr. Sagi Denenberg DVM, MRCVS, DACVB, Dip ECAWBM, RCVS Recognised Specialist in Veterinary Behavioural Medicine Has now returned to Toronto to see cases at our clinic. Dr. Denenberg spent the last three years at the University of Bristol, England where he provided behaviour consultations, teaching students, and engaged in research. Please contact us by email to confirm the next available appointment with a veterinary behaviourist. What is a Veterinary Psychiatrist? There can be major differences in the background, training and expertise of those providing behavioural advice. The veterinary psychiatrist/behaviourist must first be a graduate of an accredited veterinary college. A veterinary degree ensures a comprehensive background in anatomy, neurology, physiology, medicine, and pharmacology, as well as the type of medical problems that might affect the behaviour of the pet. The veterinary psychiatrist must also receive training in normal species-typical behaviour, comparative animal behaviour, the principles of learning and behaviour modification, abnormal behaviour, psychopharmacology and the effects of disease on behaviour, and must work for at least three years seeing cases under the mentorship of a board-certified behaviourist. Publications, presentations to other veterinarians, case histories and a four-part examination are all then required to achieve board certification (see www.dacvb.org and www.ecawbm.com for details). In short, the veterinary psychiatrist has a unique combination of education and training, clinical expertise and medical knowledge to be able to diagnose and design a treatment program for your pet’s behaviour problem. If you have a behaviour case that you would like to have seen at our clinic, please review our website to find out more about our services and then contact our office by email at northtorontovets@gmail.com or call our office at 905-881-2752 to get a quotation and to schedule your appointment. Please be certain to download the behaviour forms prior to your appointment so that you and your veterinarian can have them completed and returned at least FOUR days prior to your consultation. Following your visit, both you and your veterinarian will receive a case summary for your records. Our clinic is a shared location with the Doncaster Animal Clinic at 99 Henderson Avenue in Thornhill.